The legend that cricket originated in Belgium never fails to bring a smile to our faces, no much more so than the tale that over arm bowling was invented so as to enable women in huge skirts to play the game. 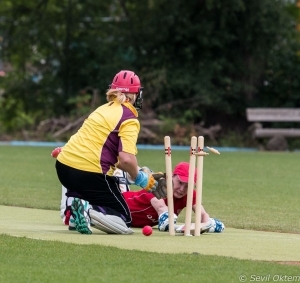 Women’s cricket in Belgium has been on the ascendancy in the last few years, due in no small part to the initiative of the Royal Brussels Cricket Club, who have played an active role in the encouragement and development of women’s cricket. This encouragement has resulted in a fully-fledged ladies club team, training and playing regular fixtures through-out the summer. These fixtures are against teams from all over Europe – in particular, France, Luxembourg, UK, and Netherlands. From these roots, women’s cricket all around Belgium is growing in popularity. In 2016, we are aiming to encourage even more girls and women into cricket, from grass-roots school level all the way through to the continued development of the Belgian Women’s team. Our dedicated coaches are working hard to promote cricket in schools, and are helping clubs to establish youth teams. In the older age ranges, we hold regular promotional days around Belgium to encourage beginners to try cricket in a non-competitive and social environment. We offer regular training for all ages and abilities, indoor in the winter, and outdoor over the summer. We organise a variety of fixtures – both at club level, and at national and international level. 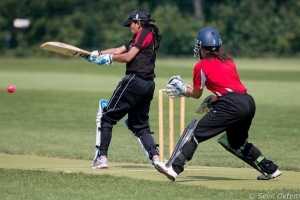 Locally, we organise fixtures against youth teams, as well as women’s teams from around Europe in a variety of formats, including 6-aside, 8-aside, and T20. At national level, the Belgium Women’s development side has been taking part in the U13 youth league in Belgium. In 2016 they will advance to the U15 league. At international level, we have over the last years organised a number of friendlies against France, and play regularly in a European tournament. We are a friendly and social group, and we are always on the lookout for new players – no matter your ability. We encourage people who have never held a cricket bat to come and give it a try, and for those of you who have had some experience, our dedicated coach Fazil will help you to improve your skills. We are a multi-lingual group, speaking mostly English, French and Flemish. Not only will you be joining a friendly group, but you will also have access to regular training to improve skills, opportunities to play matches through the summer, and a chance to play for the Belgian team, all interspersed with numerous cricketing and non-cricketing social events such as drinks, dinners, “Ladies days”. We encourage beginners and advanced players alike to join us for matches – a really great way to spend a Saturday or Sunday, in the glorious sun (yes – we are generally very lucky with the weather in Belgium, and see more sunny days than not when there is cricket on), putting your skills to the test in a competitive but friendly atmosphere. Interested girls and women can contact Nicky (ladies@cricket-belgium.com) for more information about cricket in Belgium, or can come along to one of the training sessions on offer. You can also join us on Facebook (“Belgian National Ladies Team”, “Women’s Cricket in Europe”) or follow what we are up to on our blog pages (https://cricket-belgium.com/blog/). We offer training indoors over the winter in Mechelen at the Scheppers Institute, where we work on basic skills, and play games to practice what we learn. The sessions, which commence in January and end in March, are run by BCF coach Fazil Mahmoud. They offer a good opportunity for beginners to learn basic skills, and for more advanced players to work on technique in preparation for the summer. Since 2010 we have had a Belgian Women’s XI. We continue to develop the team through regular local training, as well as international training camps, fixtures, and participation in international friendlies and tournaments. Our training sessions run through-out the year – in winter we train indoors, and during the sumner we move outdoors. The training is on Sundays, but during the summer, weekday training sessions are also available with local clubs. We also organise weekend training camps, where we benefit from the experience and expertise of the T20 International coaches (http://www.twenty20cricketcompany.com). The coaches provide drills on batting, bowling and fielding, as well as match strategy and match play. Participants come away with personalised feedback on how to improve areas of weakness. The last of these sessions was done at an international level, becoming the first (of many we hope!) pan-European training camps, where the standard of play was very high. Since 2015 we have taken part in the BCF U13 league, where we play regular fixtures through the summer. Competition is tough, and we have shown that we are a formidable side. In 2016 we will enter the U15 league. 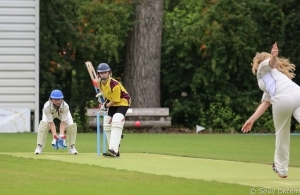 Our year culminates in what can only be described as the highlight of the cricketing season – a European T20 tournament, which sees Belgium competing against the likes of teams such as France, Jersey, Denmark, Italy, Germany, Gibraltar (with more and more teams participating each year). In 2011, Belgium was host to the second such tournament. The tournament highlights the current state of European women’s cricket – competition is tough and offers high-level players a chance to test their mettle against some of the best in Europe. At the same time, the tournament recognises the need to encourage and develop women’s cricket, and the emphasis is very much on inclusion and promotion of the game. The tournament continues to grow in numbers and in spirit each year. We play a number of friendlies/warm-ups throughout the year in order to prepare for the tournament. Most recently, we have taken on Denmark, Netherlands U19, and France. 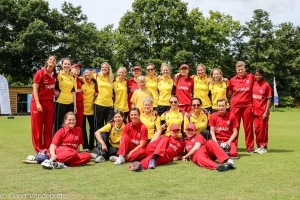 To find out more about what we are up to, you can also join us on Facebook (“Belgian National Ladies Team”, “Women’s Cricket in Europe”) or keep up-to-date our blog pages (https://cricket-belgium.com/). What is the Playing Standard? Mandatory color clothing / dresskit. What are the main attractions?? Join Belgium Ladies Cricket Team. Register now!.